As I always say, if you want to work for yourself, you have to know yourself first, and there’s no better teacher of self-knowledge than self-employment! 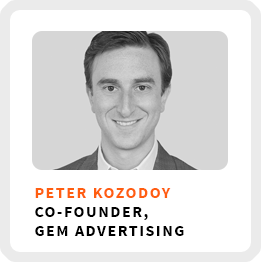 Peter Kozodoy, knows how critical self-exploration is if you want to become a successful entrepreneur! 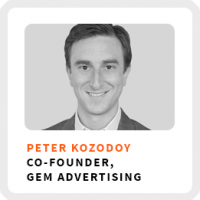 He’s the co-founder of GEM Advertising, a multi-million dollar ad agency based in New Haven, CT, near my hometown of Orange, with clients including Sony, Berkshire Hathaway, and TEDx. He had an unlikely entrance into the world of entrepreneurship 8 years ago at the age of 22 when his coach turned into his mentor and business partner, the first of many pivots in his career . . . and a few of them are doozies, so keep listening! As you’ll soon hear, he is a passionate advocate of both entrepreneurship and learning, which are deeply intertwined in his life. He’s written loads of articles about leadership for publications like Forbes, the Huffington Post and Octane Magazine. Currently, he’s working on a book about the Millennial generation. Why your lack of excitement about learning is a huge red flag about the work you should really be doing. How to become a better learner by teaching. How Peter would evaluate potential new hires if resumes weren’t a factor. The importance of likeability and legitimacy when telling your story. 1) Choose a niche that intersects with your passion. 2) Be very specific about who you want your business to reach. 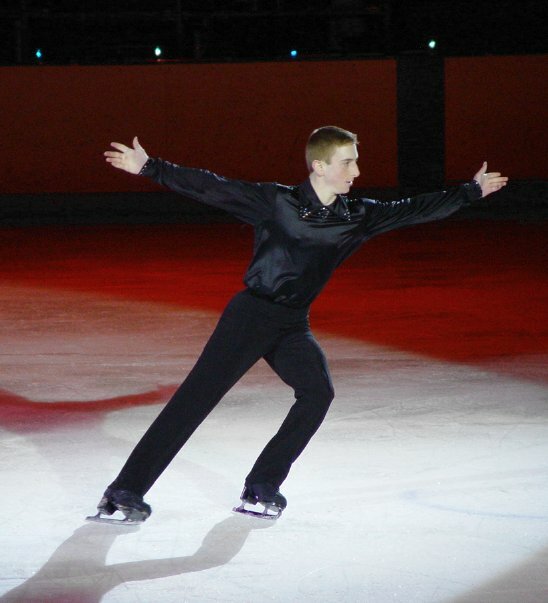 Here’s a photo of Peter from his days as a competitive figure skater.